To make a Breeding Request, please read the Breeding Policy first. Please do not use the horses or pictures on this page without asking permission. 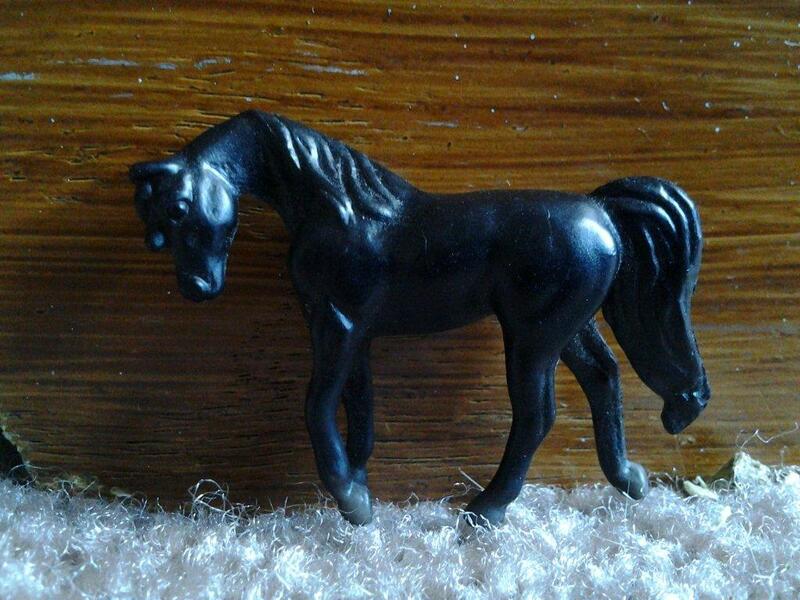 We have asked express permission to use photos of ancestors not owned by us in the pedigrees of our horses. Very beautiful mare sired by successful sire Sahlih, a son of one of our favourite sires - Ibn Hafiza. On both sides of the pedigree she has classic EAO bloodlines with Sid Abouhom and Sheikh El Arab up close. Cairo Rose's dam is Bint Iziza, dam of Champions and Stakes Winners (including a G1 winner); she is a proven producer of great offspring. Bint Iziza is a granddaughter of Ibn Hafiza, meaning that Cairo Rose carries two crosses to him. Cairo Rose is one of the very few outcrosses on the heavily Nazeer-bred bloodlines. She is a good match for our Nazeer-bred stallions to have some diversity in the foal's pedigree, but she also crosses phenomenally with our non-Nazeer stallions. Cairo Rose has produced numerous IMEHA and ABMHA champions, making her a valuable broodmare in our program. Ghaliya is a very solid, yet elegant mare by Maksous, a son of the Blue List stallion Sultann and Nabda. Sultann is by the influential stallion Sameh, and out of the Moniet El Nefous daughter Lubna. Makhsous also carries a line to Anter and one to Nazeer through his dam Nabda. Ghaliya is out of our own mare Ghada, a daughter of the good sire Zaghloul. Zaghloul is a son of Gassir, who is known for bringing correct conformation into the pedigree. Gassir himself is a son of the Blue List stallion Kheir. Zaghloul's dam Gharbawia is by Hamdan, a direct son of the most influential Egyptian stallion in history, Ibn Rabdan. Ghaliya's dam, Ghada, comes from a strong dam line that traces back to Ghazala. Her dam Gawaher is by proven racer and sire Amrulla, a Sid Abouhom son. Gawaher's lines also include Anter and Balance. Ghaliya's pedigree is quite diverse, and she carries only one line to Nazeer. This makes her an excellent mare to cross with Nazeer-bred stallions, or with our Ibn Hafiza-bred stallions. 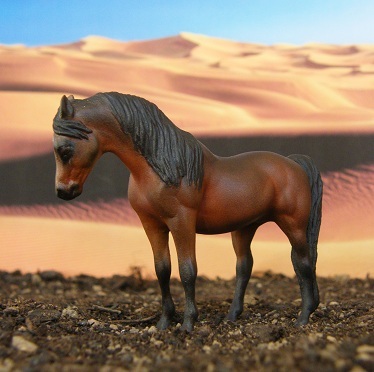 Available for breeding to all Egyptian Arabian stallions. Please check open foaling years below. Ma'at is one of the finest Arabian mares we own. 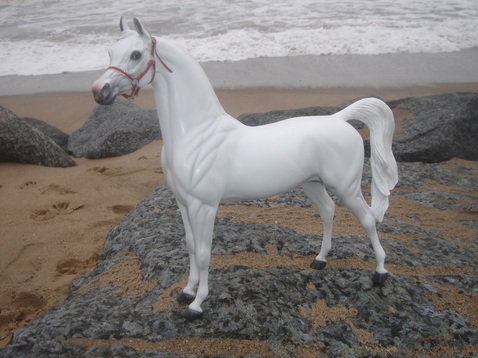 She posesses the beauty, grace and stamina the Arabian breed is so well known for. Ma'at was sired by the multi show champion Ibn Alih, who sired many regional and national champions in halter and several race winners as well. He was by Amir Alih, who was a son of the great sire Ruminaja Ali. Ruminaja Ali carries two lines to Nazeer through Morafic, three to Shahloul and two to Anter. Ibn Alih's dam was Eaglet, a daughter of the very good sire Melouki. Melouki was sired by the great stallion Ibn Hafiza, and he has Moniet El Nefous on his dam line. Eaglet's dam, Bint Hindia II, was a daughter of the very good sire Ashour, a son of Anter. Ma'at's pedigree contains 2x Ibn Hafiza, 2x Morafic and 2x Moniet El Nefous; a great blend of some of today's most sought after bloodlines! Ma'at will cross very well with our Gassir-bred stallions and our part-Babson stallions. 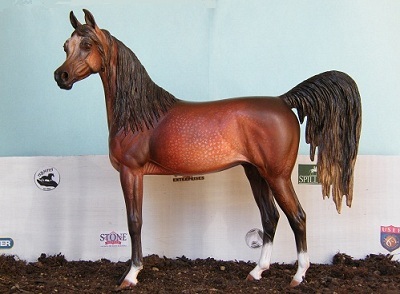 Available for breeding to all Egyptian Arabian stallions. Other strains of Arabian and other breeds considered upon request. Please check open foaling years below. 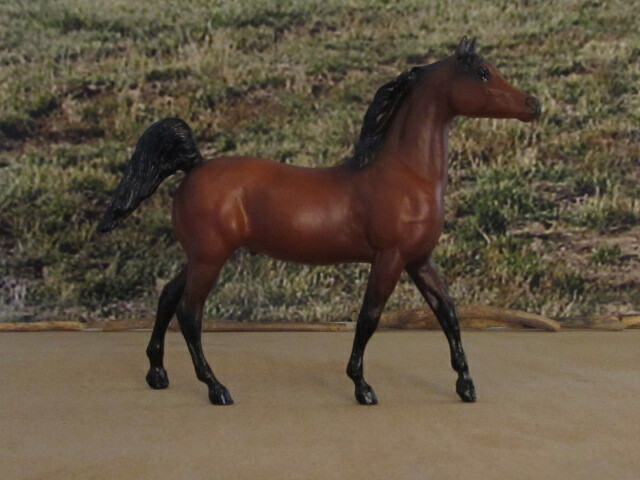 Kalilah is a very nicely bred mare with many great ancestors in her pedigree. She is sired by Abu Ali, a champion under saddle and son of the great Ibn Hafiza. Ibn Hafiza sired many champions in halter and performance. He was one of the reasons why we started breeding Arabians. With his beautiful appearance and fantastic movement he quickly captured our imagination, and we are happy to retain a beautiful granddaughter of his. Kalilah's paternal granddam was Nabilahh, a productive broodmare and dam of the very good purebred sire Khofo. Kalilah's dam was our own Risalla, a daughter of Gaf Hosam and Rudania. Gaf Hosam is a grandson of the legendary broodmare Moniet El Nefous, dam of Tuhotmos. Rudania is a granddaughter of Enzahi and Anter. She carries two lines to Shahloul, and two lines to the fantastic mare Kateefa, dam of the very influential stallion Alaa El Din. Kalilah carries no lines to Nazeer and has a beautiful pedigree with many great horses up close. Makes a very good match for Nazeer bred stallions, but also for Nazeer outcrosses. She will cross especially good with stallions of Sid Abouhom lineage. Kantela is sired by Amun Ibn Gharib, a son of the very influential sire Gharib, who sired several successful show horses and good producers. Gharib himself is by the great sire Anter. Further lines through Gharib include Rustem and Sid Abouhom. Amun Ibn Gharib is out of the Kaisoon daughter El Kantara. Through El Kantara, Amun Ibn Gharib carries two lines to Nazeer. Kantela's dam is our own Kantaah, a daughter of Fahdaah Firaq, who was a very successful show horse in the '80s. He is by Sultann, a grandson of the fantastic producer Moniet El Nefous. Fahdaah Firaq is out of Bint Talya, whose lines include Morafic, Talal, Bint Maisa El Saghira, Moniet El Nefous and Alaa El Din. Kantela descends from a very long model-bred dam tail line. Her model breeding goes back for 6 generations! Through her granddam, Kantela carries lines to Morafic, Hamran, Bint Radia and Ibn Samhan. Kantela is a nice blend of many of the older EAO bloodlines, and crosses beautifully with most stallions. 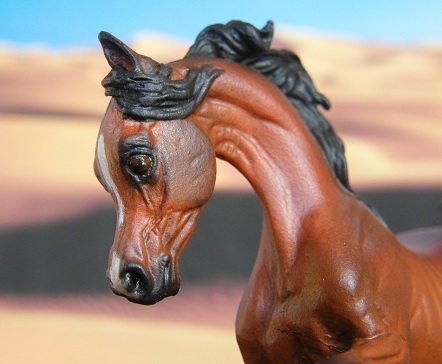 A great chance to preserve some of the model lines from older stables/programs! Available for breeding to all Arabian stallions. Other breeds considered upon request. We'd appreciate if fillies' names started with K, but this is not obligatory. Please check open foaling years below. Fahdaah Moniet is one of the beautiful daughters of our own mare Fahdarra. She is very well bred and has inherited all the grace and beauty of her sire and dam. Fahdaah Moniet was sired by Helall, who is a son of the very nice sire Soufian. Soufian was by the very good sire Alaa El Din and out of the legendary broodmare Moniet El Nefous. Helall was out of the champion mare Bint Bint Hanaa, a daughter of the very influential stallion Morafic. Her lines also trace to Moniet El Nefous through Morafic's dam, Mabrouka, who was one of the daughters of Moniet El Nefous. Through Bint Bint Hanna, lines go to El Sareei and Sid Abouhom as well. Fahdaah Moniet was out of our beautiful grey mare Fahdarra. Fahdarra was a daughter of the beautiful stallion Fahdaah Fariq, a son of the great sire Sultann, who sired many national champions. Sultann's lines trace to Ibn Radban, Kazmeen and Moniet El Nefous (through his dam Lubna). Fahdaah Fariq's dam was Bint Talya, a granddaughter of Morafic and Bint Maisa El Saghira. She also carries a line to Alaa El Din and one to Moniet El Nefous. Fahdarra was out of the grey mare Ashaaka, whose sire Shaikh Al Badi has produced many champions. He too, is a son of Morafic and Bint Maisa El Saghira. Ashaaka was out of the good producer Morasha, a daughter of Anchor Hill Halim. Fahdaah Moniet has a lovely pedigree with many lines to Moniet El Nefous and Bint Maisa El Saghira, several to Morafic and Nazeer, and also a few to Alaa El Din. 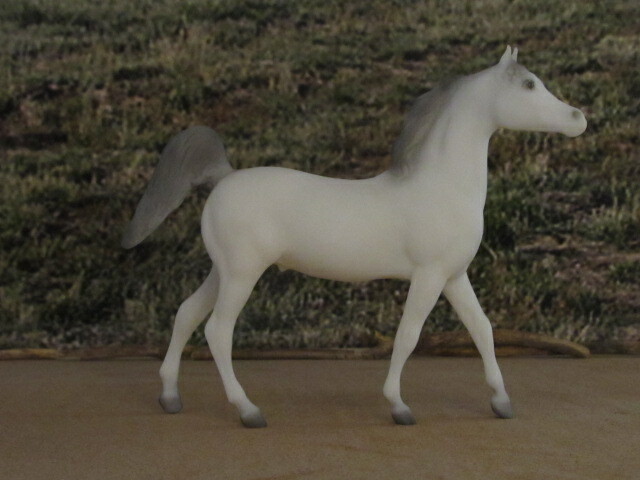 Available for breeding to Egyptian Arabian stallions. Other breeds considered upon request. Please check open foaling years below. ABMHA 2013 Reserve Overall Year Champion of CM/AR Gender & Misc. Bint Nahmeh is a true gem of a mare. She has not only a fantastic physical appearance and a beautiful typey head, but also an amazing character and the ability to pass on all these qualities to her foals. 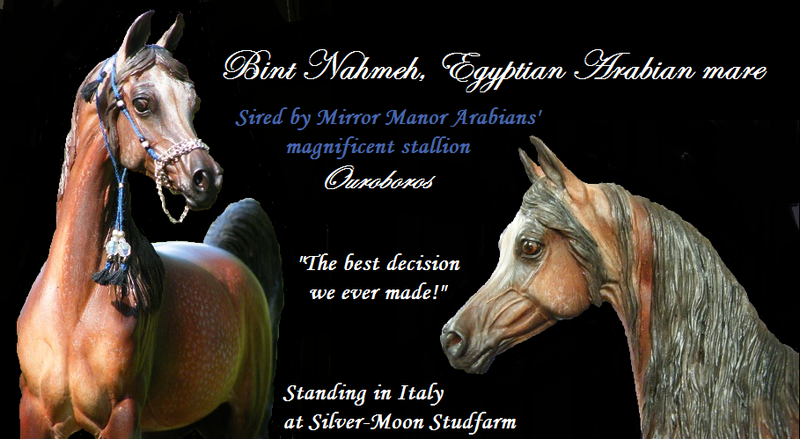 Bint Nahmeh is sired by Mirror Manor's beautiful stallion Ouroboros, whose name means "no beginning and no end to his beauty". Ouroboros is a majestic stallion that earned several champion titles and sired many winning offspring. He is by Ibn Adaweya, son of the great sire Akhtal. Through his sire, Ouroboros carries 2 lines to Nazeer. Through his dam, Nawader, he carries another 4 lines to Nazeer, however all in the 5th generation or further back. Bint Nahmeh's dam is one of our own foundation mares, Nahmeh. Nahmeh has produced few foals, but of great quality and type. She carried only two lines to the popular stallion Nazeer, making her a good match for both Nazeer and non-Nazeer bred stallions. We chose to breed her to a stallion with Nazeer blood, and the result is the gorgous Bint Nahmeh. Nahmeh was by Ibn Shahrzada, a son of the successful sire Anter. Nahmeh was out of Hagir, a granddaughter of the great stallion Shahloul, who sired the likes of El Sareei, Moniet El Nefous and Maisa. Bint Nahmeh is a great choice as a broodmare, as she passes on her beauty, grace, spirit and intelligence to all her foals. 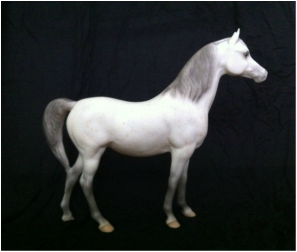 She crosses well with stallions of all Arabian strains and types. Available for breeding, to Egyptian & Crabbet Arabian stallions only. Exceptions considered upon request. Would prefer picture of offspring if possible. Foals must be of good, representative Arabian type. Please check open foaling years below. Maysaa is a very nicely bred filly from one of our own foundation mares. Her name means 'walking with pride', a name that suits her very well. Maysaa is by Dantaar, son of the great EAO stud GAF Mosaad. 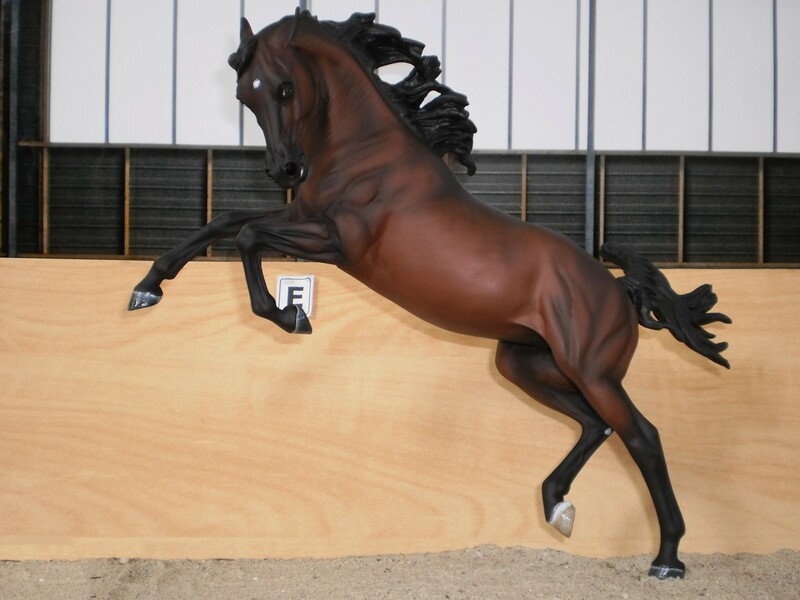 He is the grandson of successful sire and racer Sid Aboudom, and out of the exquisite mare Hamama. GAF Mosaad carries 4 lines to Ibn Radban, sire of many purebred Arabian foals. Maysaa is out of multi Halter Champion, Cairo Rose, one of the mares we started our Egyptian Arab breeding program with. She is a daughter of Sahlih, who was a son of the great sire Ibn Hafiza. Cairo Rose was out of Bint Iziza of Gubbera Park, dam and granddam of many champions. Maysaa carries no lines to Nazeer, thus being a valuable outcross to modern lines and Nazeer linebred horses. She will cross exceptionally well with stallions of Shahloul and/or Nazeer lineage. Available for breeding to purebred Egyptian Arabians only please. Would prefer foals with picture. Please check open foaling years below. Zinat is another of our Nazeer outcross mares. She is by our own Anwar, a grandson of Mourad over Zaghloul. Anwar's pedigree is rare in the sense that he is a true straight egyptian, a Nazeer outcross, and he does not carry any Babson blood. He carries three lines to Gassir, and one to Ibn Hafiza. Zinat is out of one of our foundation mares, Cairo Rose. Cairo Rose is by Sahlih, a son of the prominent sire Ibn Hafiza. Through granddam Bint Iziza, Zinat has a line to the Hamdan-son Fol Yasmeen. And through Iziza, another line to Ibn Hafiza. Zinat sports a pedigree full of rare lines, and no Nazeer. 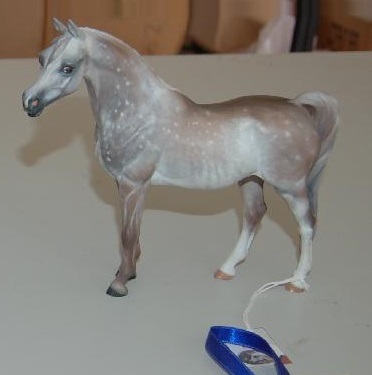 Available for breeding to purebred Egyptian Arabian stallions only. Please check foaling years below. We will offer the following mares as broodmares in the coming years - they are the future of our Egyptian Arabian program. Beautiful pedigree with multiple lines to Ibn Hafiza, Gassir, Morafic, Moniet El Nefous and Fadl. Aqilah will be a great future cross for our stallions that carry our foundation mare Nahmeh on their dam line. Aqilah's lines to Gassir bring correctness into the pedigree, while Morafic and Ibn Hafiza bring refinement and elegance into the mix. Aqilah will be available for breeding in 2015/16. Incredibly beautiful mare which produced several outstanding foals for us. Nahmeh has only been with us for a short time before she passed away, but in that time she did give us a gem of a filly: Bint Nahmeh. Nahmeh had beautiful straight Egyptian Arabian bloodlines with only 2 lines to Nazeer. She crossed well with Nazeer-bred stallions as well as Nazeer outcrosses. Carries lines to Shahloul, Ibn Rabdan and Rustem. Available for breeding to Egyptian & Crabbet Arabian stallions only. Please check open foaling years below. Risalla has very nice bloodlines with many of the older Egyptian greats. She carries lots of Ibn Radban and several lines to the outstanding producers Bint Sabah and Kateefa. Carries a line to Moniet El Nefous through her sire's dam Mouna. Risalla does not carry lines to Nazeer, meaning that she is a great match for your Nazeer bred stallions. We imported Kantaah from the US, after buying her from Alzahraa Egyptian Stud. 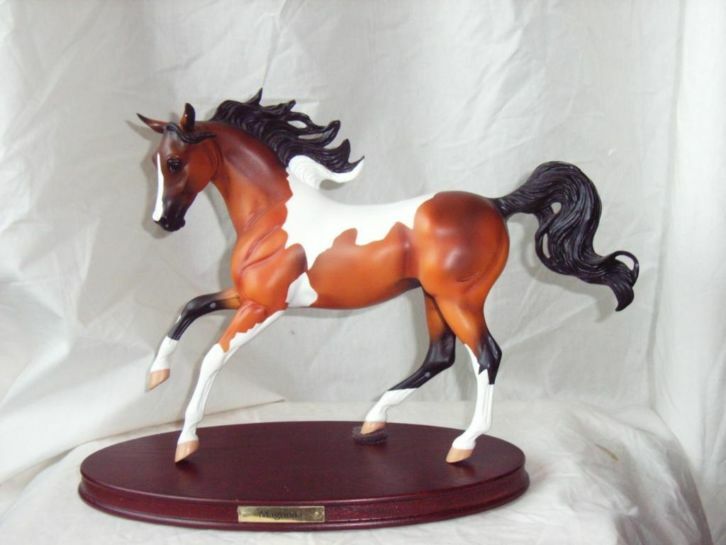 She has lovely model lines that all trace back to real horses. She carries quite a few lines to Nazeer, and her pedigree also includes the great Morafic. Her grandsire was Faleh, a fantastic sire and show stallion who passed on his beauty to Kantaah. 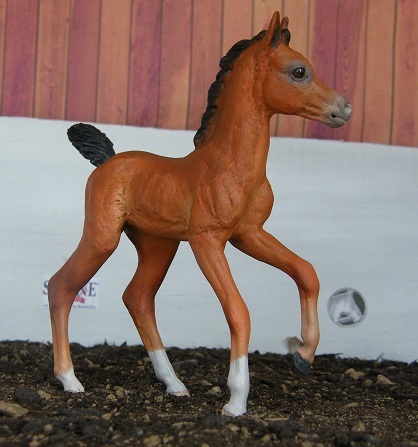 Lovely, very well-bred broodmare! Fahdarra is a very well-bred mare. She was purchased at the same time as her half-sister, Kantaah, from Alzahraa Egyptian Stud. She was sired by Fadaah Fariq, a son of the great stallion Sultann. He carries double lines to El Deree, and triple lines to Ibn Rabdan. Sultann's dam, Lubna, is from the leading female champion line. She herself is a daughter of Moniet El Nefous, a fantastic broodmare who produced the great purebreds Tuhotmos, Mouna and Mabrouka. Fahdaah Fariq's dam is Bint Talya, a daughter of the beautiful stallion Amaal and out of the pretty, grey mare Talya. Bint Talya's lines include four lines to Nazeer and three to Shahloul. She also traces one line to Moniet El Nefous. Fahdarra's dam is Ashaaka, a daughter of the very good sire Shaikh Al Badi. Shaikh Al Badi was sired by Morafic, a sire of multiple National Champions. Shaikh Al Badi is out of Bint Maisa El Saghira, who earned a Legion Of Merit Award and earned Top Ten titles in both halter and performance. Ashaaka is out of Morasha, whose lines include Nazeer, Fadl, Ghazal and El Sareei. 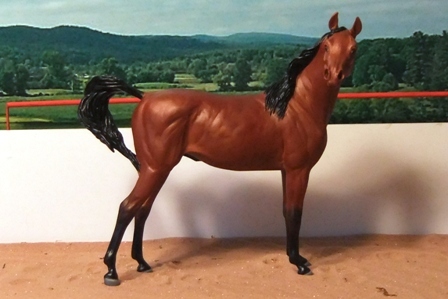 Fahdarra is a very nice broodmare with good model and real lines. She will cross very well with our non-Nazeer stallions! 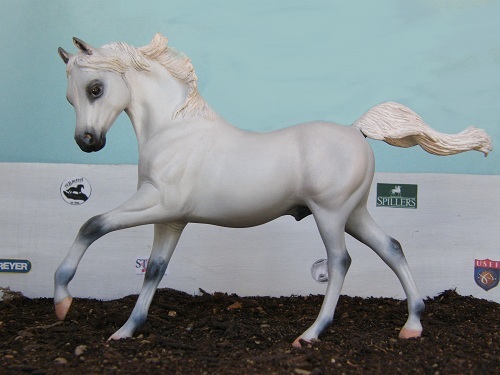 Available for breeding to all Egyptian Arabian stallions. Other breeds considered upon request. Please check open foaling years below.